The Woolf and Jackson Reforms, along with wider political changes in the role of the judiciary, have transformed the function of first-instance civil judges Lord Neuberger has said in an address to the Manchester Law Society and Northern Circuit Commercial Bar Association. First-instance judges have, he said, been “converted from guard dogs, who sat on the sidelines and only barked occasionally to warn, into sheep dogs, who continually worry away at the parties to ensure they fall into line”. Lord Neuberger described the role of the trial judge as of paramount importance. On findings of fact, exercising discretion, and case management he said “common law trial judges almost always have, and should have, not only the first word, but also the last word”. He feels it is a strength of the English legal system that appeals are relatively rare compared with some European jurisdictions where appeals take place almost as a matter of course saying “it may render our first instance cases more expensive and time-consuming, but it avoids the costs, delay and stress of automatic appeals”. This is reflected in the rulings of the Supreme Court. In Abdulaziz v Apex  UKSC 64 Lord Neuberger stated that while it would be “wrong in principle for this court to refuse to entertain an appeal against a decision simply because it involved case management and the application of the CPR”, both the Supreme Court and the Court of Appeal should be “very diffident about interfering” with the decisions of their respective lower courts. In the recent rulings of McGraddie v McGraddie  UKSC 58 and Henderson v Foxworth Investments Ltd  UKSC 41 the Supreme Court overturned an appellate court for interfering with a trial judge’s findings of fact. The increasing involvement of first-instance civil judges in case management only serves to support this principle. Lord Neuberger discussed the effect of the costs measures under the Woolf and Jackson reforms, which were “ultimately motivated by economic factors” aimed at keeping costs to both the parties and the public to a minimum through greater judicial control of pre-trial procedures and hearings. He regards the new costs management regime as “not perfect, but… well justified”, as it concentrates minds on specific issues early on and enables litigants to factor in the cost of winning or losing. He noted that “the ironic downside of costs management is front-end loading of the costs – ironic because the whole purpose is to keep costs proportionate”. He accepted that it will take time for costs management to “bed down fully into the system”, but hopes and believes that those who say “costs management will fade away” are wrong. He also reiterated his belief, first stated whilst he was Master of the Rolls, that if the current systems cannot achieve proportionate costs, then the courts “may have no alternative but to go over to fixed costs”. Fixed costs for fast track cases were recommended by the Jackson report more than four years ago and Lord Neuberger commented that “particularly bearing in mind the Government’s fundamental duty to enable access to justice and their swingeing cuts in civil legal aid, it is more than disappointing that after all this time, we still do not have fixed costs for all fast track cases”. Lord Neuberger also believes that fixed costs could be extended to smaller multi-track cases. Despite the cuts to legal aid by the Legal Aid, Sentencing and Punishment of Offenders Act 2012, he noted that the number of issued cases suggests “that the threatened collapse of claims has not occurred”, at least not yet. However, “the virtual disappearance of legal aid for private civil and family claims, and the consequent rise in litigants in person” has led to a greater need for judicial involvement, to assist both the litigant in person and other parties to the dispute (Lord Neuberger commented on this in his interview with the Editors of the UKSC Blog last summer). Lord Neuberger also mentioned a case to be heard by the Supreme Court in February 2015 which will consider whether the Access to Justice Act 1999 (repealed by the 2012 Act) is consistent with a defendant’s Article 6 rights, due to the provision for a 100% costs uplift and ATE premium being fully recoverable (Coventry & Ors v Lawrence & Anor UKSC 2012/0076). If the Supreme Court rules that it is not compatible, it could lead to a large number of claims against the government for compensation. With regard to the emphasis on ADR under the reforms, Lord Neuberger noted that “the judicial relationship with ADR still has to be fully worked out”. He questioned the extent to which judges should “push ADR at an early stage”, and whether it “is right in principle for a judge to force, or even try to force, litigants into mediation if they want to litigate”. While ADR can undoubtedly be the best way of resolving some disputes, in some scenarios it can be “a useful weapon for a rich litigant with time on his side to undermine a poorer opponent who is in a hurry”. Another consideration is how far judges should, themselves, act as mediators, through “so-called early neutral evaluation” – Lord Neuberger felt there was a lot to be said for this, but that judicial continuity would then be lost, as the judge concerned could not then be involved in the case. Lord Neuberger further commented that devolution has also shaped the role of judges in recent years, including “a substantial devolution of public law work from London”. He noted that after a “hesitant start” he detected “a genuine desire in many parts of Westminster to increase devolution within England”. He was not, however, so keen on the increasing specialisation of judges, saying that “a not-too-specialist judiciary has a great deal to offer in ensuring that there is cross-fertilisation” between different areas of law. Lord Neuberger noted that Lord Asquith once said that a first instance judge should be “quick, courteous and wrong”, to which Lord Neuberger added that this “was not to say that the Court of Appeal should be slow, rude and right, because that would be a usurpation of the function of the House of Lords”. While Lord Asquith’s formula may have applied when judges were “detached umpires”, saying nothing except “speak up, please” (or on occasion, as Lord Neuberger recalled, rebuking members of the Bar for their choice of attire), judges are now involved in actively managing litigation from inception by having a role in costs management, enforcing stricter timetables, the “hot-tubbing” of expert witnesses and the promotion of ADR. All of these factors mean that judicial involvement in cases is “much greater” than it was in the past. The full text of the address can be found here. He needs to get his facts straight in the Firts place himself because Civil Court Judges ignore them too. How many people have had Judgements issued against them without any hearing at all? 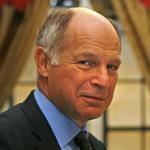 Leave a reply on "Lord Neuberger: First-instance judges have duty to make parties “fall into line”"